Free will is an illusion. We are all slaves to our own brain chemistry. Your decisions are a product of your genetic makeup and your past experiences; the feeling of choosing is nothing more than a compelling illusion. Random Reality will set you free by teaching you how to add a random element to your decisions, which will boost your creativity, assist with problem solving, lead you into unexpected adventures and accelerate self-development. * End the tyranny of yourself, and step into a life of random adventure! 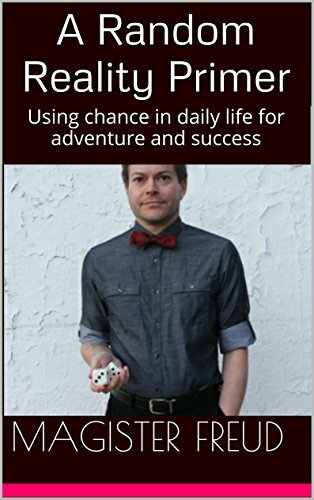 So go buy my book and get in touch when you want to talk about how awesome your life has become due to Random Reality.